My twitter feed has been filled for weeks with my #nerdybookclub friends proclaiming #thewonderofwonder – so I just had to check it out for myself. With that much buzz, I was honestly concerned that it wouldn’t meet my expectations. I was joyfully surprised that I loved it as much as the hype said I would. 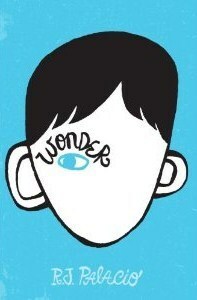 Wonder is the story of a fifth grade boy named Auggie (August) with a genetic disorder. He can’t hide his differences from the world because they are stamped on his face for all to see. He spends his elementary years being homeschooled, due to the intense schedule of surgeries required to help him even be able to eat and breathe properly. In fifth grade, his parents decide it is time for him to start to interact more with kids his own age, though they know it will be incredibly stressful. Kids can be mean, though, right? What follows is Auggie’s story of that year, but it is also a tale of other children struggling to fit in. - - Realistic Kids. There were no “bad guys”, just children. Some were kind to Auggie right from the start, and some weren’t. Throughout the story, though, the author gives us insights into each child. We get to see how even the popular kids struggle with their self-worth, hiding things about themselves that they fear will get them teased or shunned. - Shifting point of view during the telling of the story. Really, it was that shifting point of view that helped create my first point. We see life from Auggie’s perspective, but we also hear from his sister, the kids in his school, and even his sister’s boyfriend and friend. I felt like this gave a more well-rounded story than if the author had just given me Auggie’s take on his school year. - Pop culture references. Okay, so I’m a Star Wars fan, and that may have influenced me slightly on this point. The references included a lot more than just Star Wars, though. Wonder includes shout outs to Bone, Avatar, Star Wars, Diary of a Wimpy Kid, and more. Yes – this may keep the story from “aging” well. Seriously, though, I think it’s more important that it connects with the kids who are reading it NOW. Kids love these references (and so do I), and that’s what will help hook them and help them connect with the children in this story. - Life lessons. No one wants a lecture. Wonder, though, infuses the concepts of tolerance and the idea that it is good to “act just a little kinder than is necessary” throughout an interesting tale. Kids and adults can spark conversations about how even the most popular kids often feel like they are wearing masks, and that everyone struggles to find their place. In a world where intolerance and bullying seems like the norm, this story is a way to open our eyes to the kindness that also runs deeply in each child. Were there flaws? Sure. I had a bit of trouble with one of the character sections. I loved Justin, but the lack of capital letters in his entire portion of the book made the teacher/editor in me cringe. I wanted more about Summer, and I would have liked a bit more information about Julian as well. Also, some of the information the school administration shared via emails would probably violate some privacy laws. Honestly, though, these small concerns were just a blip on the radar. 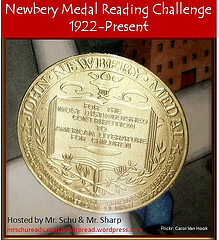 I got to read the book courtesy of Netgalley, which is a fabulous resource for bloggers and teachers. 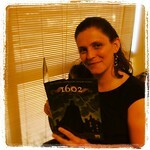 It gave me a chance to read it first and decide if it is right for my students. Not only did I read it almost nonstop, starting on a Sunday night and finishing it up on Monday morning, but I immediately started to think about how I could get enough copies of it for my classroom to be able to use it for reading groups and discussion. I decided to go with just a few copies to circulate for this year. Hopefully it will come out in paperback soon so I can invest in a small group set, though. Buy this book to read yourself. Buy this book to use as a read aloud or in a small group. Talk to your children and students about kindness, and see what they can tell you in return.